It may not look like it but this is a humidor. 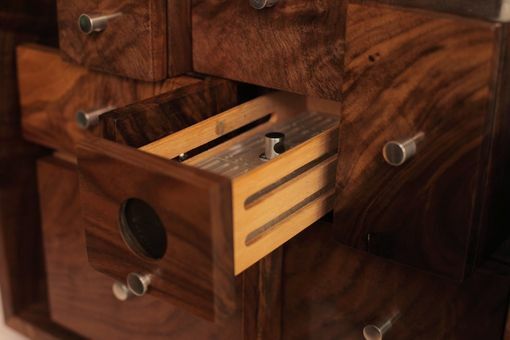 The drawers are all connected through cutouts inside the case. 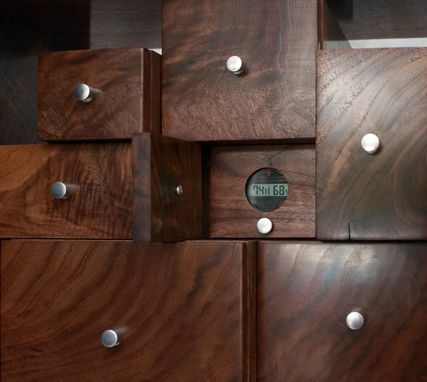 The center drawer is where the humidifier and hygrometer live and you can view the readout without opening the drawer. 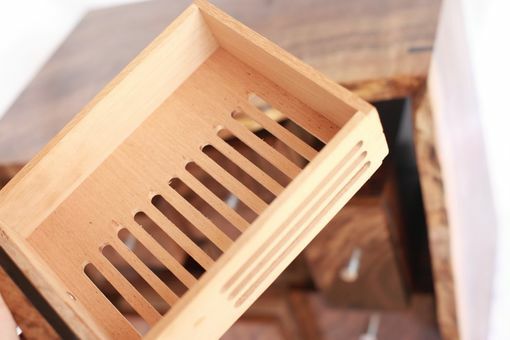 There is one drawer that is not humidified for your lighter, cutter etc. 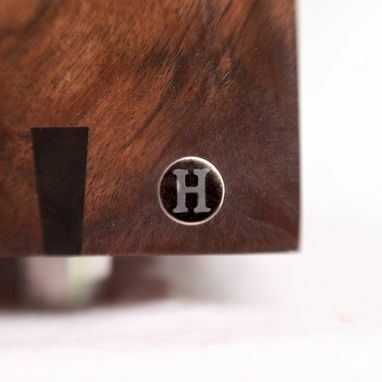 The one pictured is made of clark walnut with ebony details. 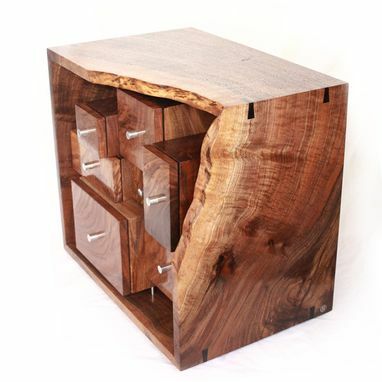 Since it custom made and made of organic, living materials, no two are alike. 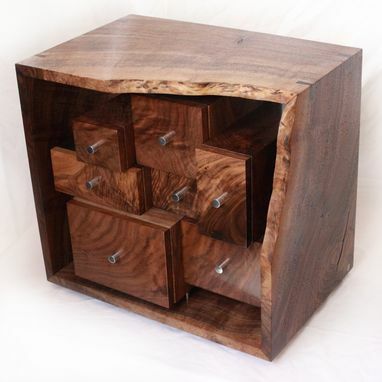 This could be made as regular storage boxes or a jewelry box instead of a humidor.